The early years of education is considered the most important stage of learning. It forms the base of personality, knowledge, career, and state of mind of a child, which is why parents take extra care in the beginning years to shape up their child’s overall development. 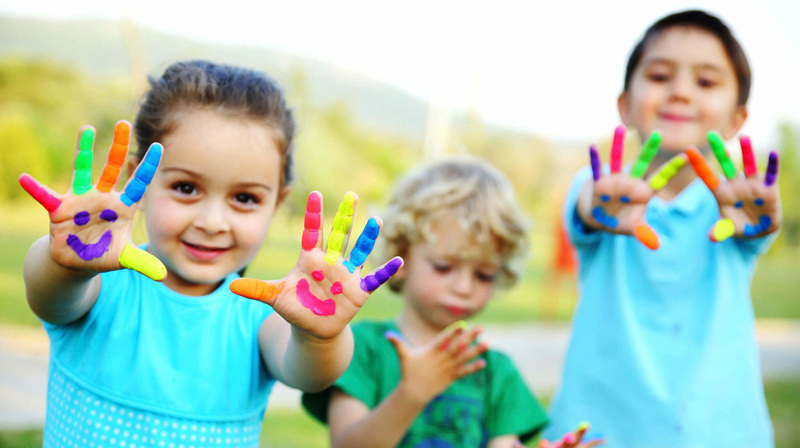 The culture of preschool or daycare has been there since time immemorial, but the international touch and introduction of numerous extra-curricular activities have recently marked their entry in the Indian subcontinent, to prepare the child ready to compete not only within the locality but also with the entire world. There has been a rapid growth in the education sector, where numbers of preschools and child care units are mushrooming every day, which is why to stand out in the sea of competition, one has to take help of marketing strategies. All parents judge a preschool or daycare on certain crucial points--- safety of their child, quality of teaching, school brand, affordability and distance from home. Since the child is too young to handle and working parents have relatively less time to spend on their child, they prefer to send the child to preschools and daycare. If one takes care of the crucial points, the parents are looking for; it will be easy to build the standard of your service business. Make yourself available everywhere possible. This might take a while to get registered on people’s priority list and might cost a little more initially but it will pay off in the long run. Select crowded places such as events, parks, malls and amusement avenues, where the crowd comprises more of small children and their parents. Install your stalls there and fun camps for the weekends or festivities, you can distribute pamphlets, brochures to the parents, in the meanwhile, try to engage children in activities with utmost care and attention. This strategy will help in establishing an impact in the minds of the parents. The general tendency of a human brain is whatever it sees more than often, the picture or ad, it registers and stays for a while, sometimes it lasts for many days. Circulate your advertisements in print, air and on television. This will keep them reminding about your service business and they are likely to pick you before anyone else. Another masterstroke is to take help of any famous child celebrity or celebrities’ children in the ads or just in pictures; this will help in molding the choice of the parents in picking the best as per their knowledge. Take small initiatives and use the digital platform to market your product. There are a lot of news websites and other websites, where the audience is always massive. Rent the space and run the advertisement throughout the day or so. Moreover, one can also conduct twitter quizzes, SMS contests and keep the audience occupied with the brand in their mind always. Paste a motivating tweet and ask them to retweet with #Iwanttobepartofxyz or give them some percentage of discounts to the first 10-20 retweeters.